Set the vibe at your wedding with a one of a kind performance that is bound to get your guests up and dancing in no time! 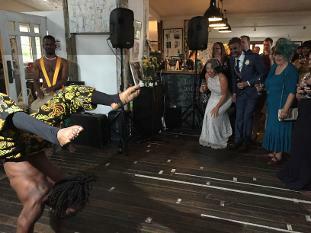 Asanti Dance Theatre provide what can only be described as amazing, highly-energetic, world class performances that you will certainly remember! 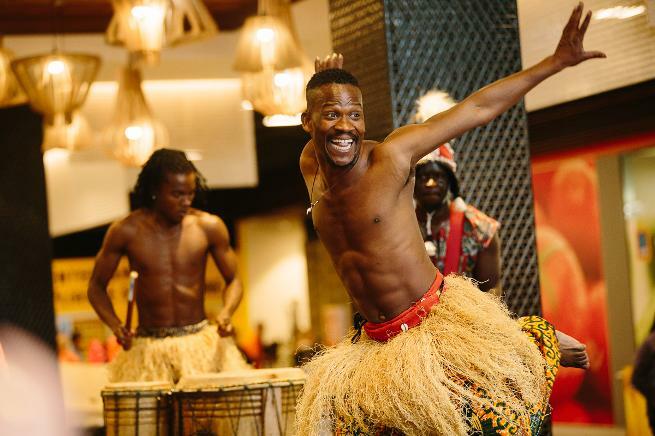 With our repertoire of over 100 dances and drumming rhythms, combined with acrobatics and fire shows you can be sure that each show is unique. From the beauty of the Kora (African harp) to the power of the drums we would love to talk to you about what we could do to help you celebrate your special day in style. Thank you so much Belinda and Appiah! I loved every minute of it. I cant believe the Asanti boys, they just set the stage and crowd! 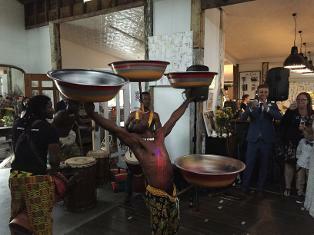 What an incredible performance - the energy these guys had set the tone for an awesome, fun reception. The performance brought all the guests together cheering and clapping, everyone was in awe of the talent of these guys! A highlight was when the bride and groom jumped in and improvised with the guys. Incredible!!! Absolutely amazing! These guys brought an exciting energy to the room with all of the guests watching on with big smiles! What a great way to get a party started! I was mesmerized by the spectacular dance and acrobatic show along with the drumming, creating an atmosphere which made this one of the best performances I have ever seen! Well done boys keep up the great work!